Urban Smoke is known for marrying traditional southern and fusion styles of barbecue for finger licking results. 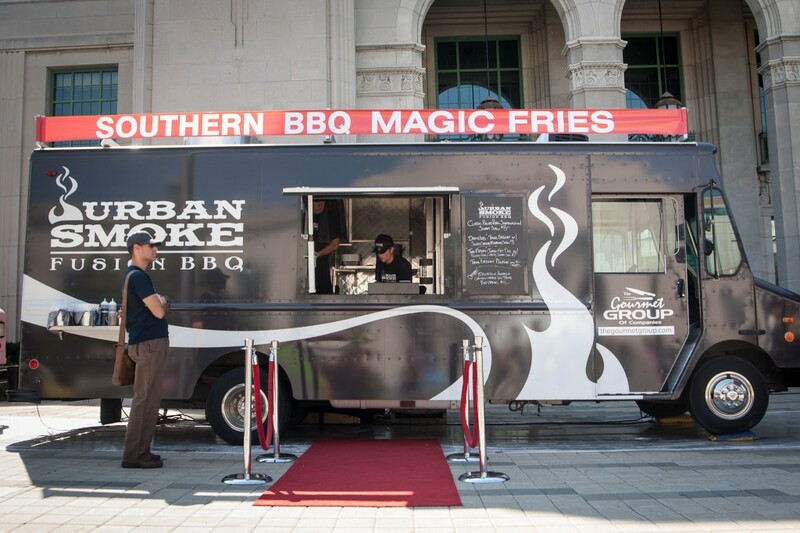 An extension of The BBQ Gourmet Food Company that has offered event catering throughout the GTA since 1994, the shiny black truck is now turning up the heat at public events with slow cooked meats served fast. Reputed pitmaster recipes, signature sauces and prime cuts make this mobile eatery a meat-lovers go-to.